We all know that one of the most successful and most famous reality shows of India is The Great Indian Laughter Challenge. The show has been back again last year after some time to be telecasted on one of the most renowned TV channels Star Plus. The show had always showcased some of the most talented comedians all around the world. The show also shows their lives and how they came forward facing the hardships of being a comedian as this is not a job parents will ask their children to do. In this competitive talent show, they can surely show their talent and impress the audience and also the judges with their comic timing. It will also help in changing the mindset of the society for the comedians. The 5th season of the show was a huge success and so there is huge expectation from the 6th season which will be starting on 2018. You will be witnessing once again the best Indian comedians full of humor and talent who will make you laugh very badly. The winner of the show will, as usual, make it big in the entertainment industry. 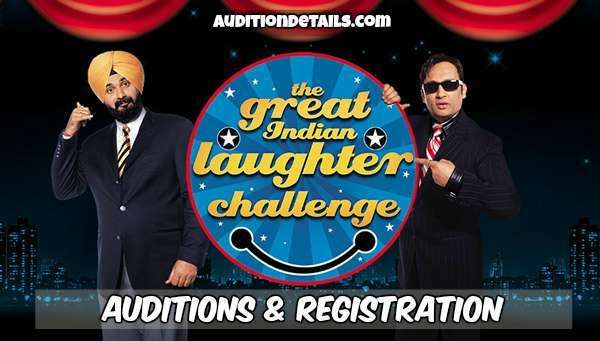 If you think that you have the talent to take part in The Great Indian Laughter Challenge Season 6, you are more than welcome to test your luck in the show which gave India ace comedians like Kapil Sharma, Sunil Pal, and Raju Srivastava. Judges and Host: The judges of the show are Sajid Khan and Shreyas Talpade. The maha judge will be Akshay Kumar. Other than them, there are three mentors – Zakir Khan, Hussain Dalal, and Mallika Dua, who will help to choose the contestants The host of the show is very beautiful and talented Elli Avram. 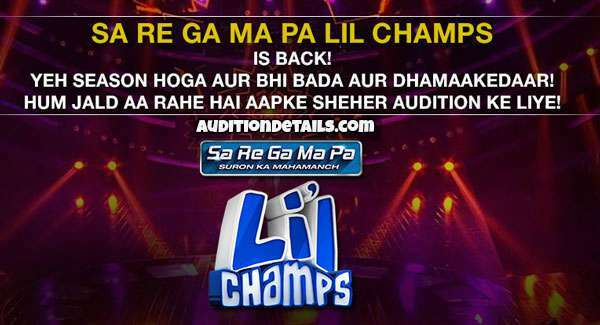 The auditions will be done in various venues like Lucknow, Delhi, Amritsar, and Mumbai. The age of the contestants must be between 5 to 50 years. The candidates will be selected within the online submitted applications and then in the next round they will face the mentors – Zakir Khan, Hussain Dalal, and Mallika Dua. Only after impressing them they will be given the license to join the show. The date for the registration will release shortly and you will get the information here. So stay tuned for more information. All the participants must provide the correct information in the form along with appropriate ID proofs. The registration will be done online. For more updates about Great India Laughter Challenge, stay tuned!